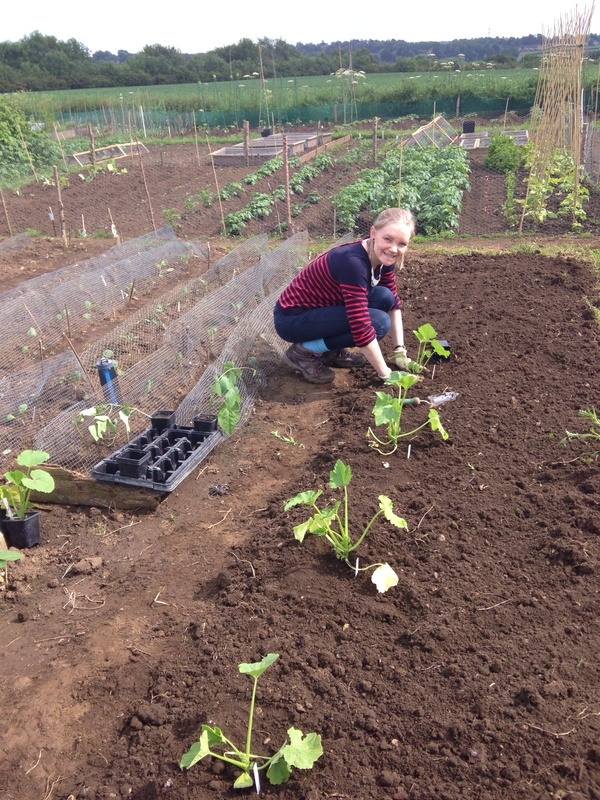 Last Sunday afternoon, after I’d recovered from the effects of my hen party the night before, we headed to the allotment to plant our final few trays of veg plants. We decided to work in a bit of a conveyor belt system for this bit, Oli dug over the area whilst I followed behind planting and watering in our plants. 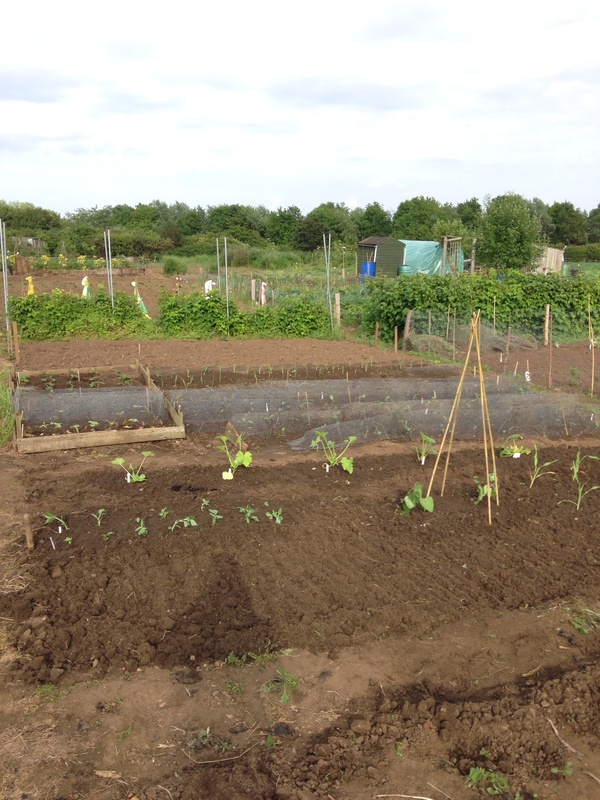 First was the courgettes, pumpkins and squash plants. Then we popped in our broad beans…twice! The first attempt at planting the was in a very wonky line (not sure how that happened), I toyed with the idea of leaving them where they were but couldn’t cope, the line was so off centre it stuck out like a sore thumb. So out they came, and were replanted using string to mark a ‘straight’ line! We also planted out 2 runner bean plants. We’ll have a few more in a couple of weeks if the seeds catch up, but for now these 2 are getting free reign over our little cane tipee. When I say ‘little’ frame, I mean ‘short’. Apparently there were no longer canes at the garden centre, because they’d sold out! Everyone else must have already planted they’re beans…keen beans! After all the fresh air and digging (and perhaps the hangover) we had a quick break for some much needed cake and water. 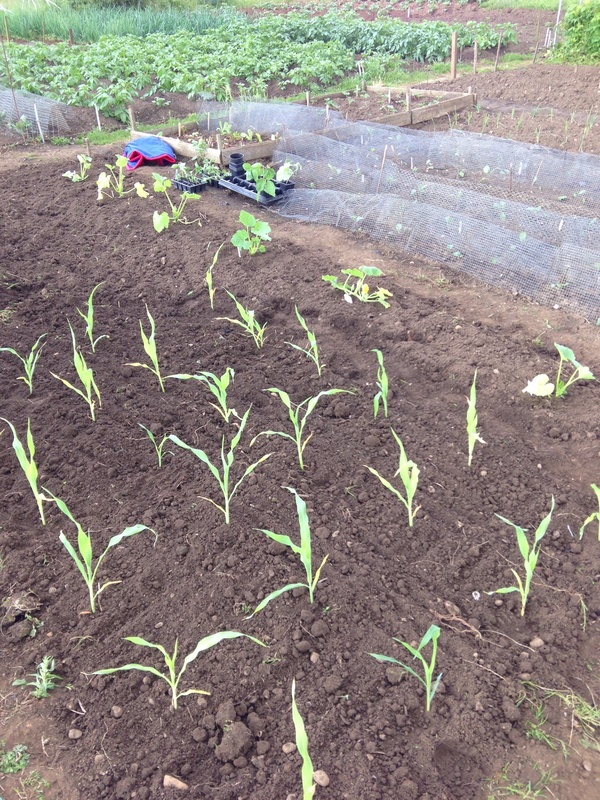 The new additions to the plot also got a good watering in.